Hey guys, here is my wyvern. 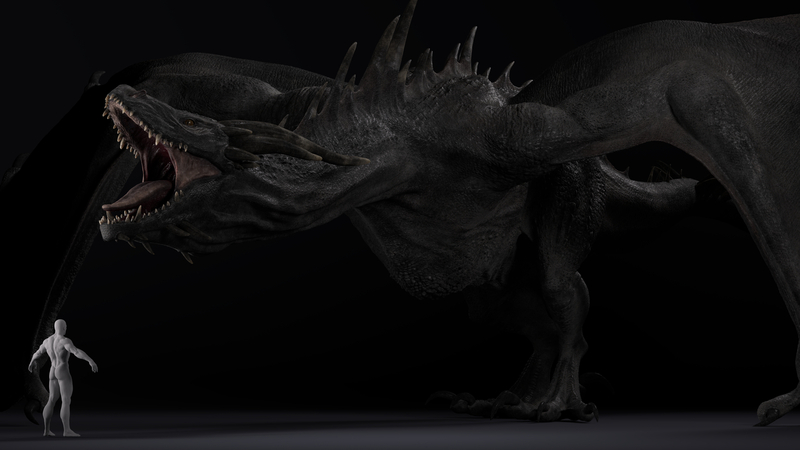 I spent a bit more time to work my wyvern after CGMA course . For CGMA course 'Sculpting Anatomy: from Animal to Creature' with Gael Kerchenbaum. Gael is a great teacher and I learned a lot durning his class, and he give me more useful comments to improve my skill. For design this wyvern I starting to search a huge of life reference in google , then go to skeleton, adding muscles, and skin. For scales, I use Texturingxyz "https://texturing.xyz/collections/animals" to create the displacement map in mari, then apply to zbrush to sculpt the scale details. After this, I paint in mari and rendered in maya using arnold.